I'm looking for someone who is looking for a serious LTR. Someone that can be my best friend. 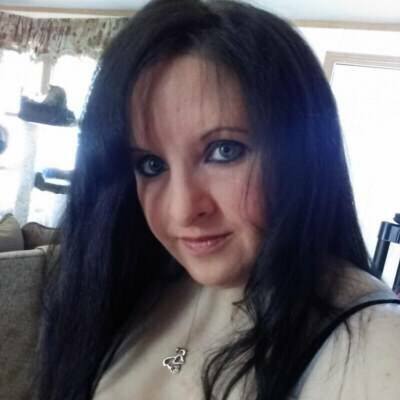 I am a 35yr old wf looking for someone preferably 30-45ish. Must be a non-smoker. It's a plus IF you love cats, are a BassPro frequent shopper or if you a nerdy type of guy but I will consider others of course!! About me: I'm average, 5'1", natural brown curly hair (I wear straight alot), very easy going and simple. I like spending time at home more then going out. When I go out, it's w/ my significant other and it's doing something like eating out or walking around the mall. I don't like bars, partying, guys w/ 500 friends that call them non-stop. I'm not a teenager and I'm not looking for someone who wants to act like one. I have 2 small children and I'm looking for someone who LOVES kids and would love mine as thier own. I also have quite a few cats who are like my children also and very spoiled (and in case you are wondering, no my house doesn't smell like cats)! SO you MUST love cats. I'm a clean freak so I want someone that prefers keeping things clean as well. I like guys who are not lazy and can be handy with things but still likes to relax too! I love watching TV/movies, playing board games, and even video games. I'm a simple person like I said and prefer someone who likes those kind of simple things. I love snuggling, I love being loved. I am an honest, devoted person who is looking for someone who can be faithful and is 100% honest. I am super family oriented and love visiting my parents on the weekend near Annapolis. I grew up fishing, crabbing, camping, hunting and love the outdoors so if you are an outdoors person and love these things that's a bonus! I love pizza, I love watching crime shows and horror movies, I volunteer w/ cat rescue, I love crafty things, I love going to yard sales and the Amish market, I love anything Disney, I love the holidays especially Xmas!!! I have goals and I need the extra special someone in my life so I can truly be happy. I'm happy that I have my kids and I love them so much and hope I can find someone that can complete our family. I truly hope there is someone out there.